Ever wondered why little children love listening to stories, why older ones get lost in certain books? 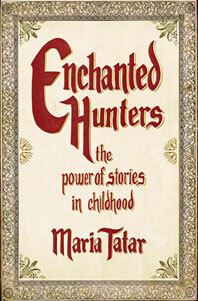 In this enthralling work, Maria Tatar challenges many of our assumptions about childhood reading. Much as our culture pays lip service to the importance of literature, we rarely examine the creative and cognitive benefits of reading from infancy through adolescence. By exploring how beauty and horror operated in C.S. Lewis’s Chronicles of Narnia, Philip Pullman’s His Dark Materials, J.K. Rowling’s Harry Potter novels, and many other narratives, Tatar provides a delightful work for parents, teachers, and general readers, not just examining how and what children read but also showing through vivid examples how literature transports and transforms children with its intoxicating, captivating, and occasionally terrifying energy. In the tradition of Bruno Bettelheim’s landmark The Uses of Enchantment, Tatar’s book is not only a compelling journey into the world of childhood but a trip back for adult readers as well.